One Awards has recently awarded Steria, who works in partnership with Cleveland Police, national accreditation of five new Emergency Planning courses. As a result, Steria’s Emergency Planning courses are already being taught and implemented in UK industry, in educational establishments and in police forces up and down the country. These courses were initially conceived and developed by Steria, in partnership with Cleveland Police as a means of offering updated and upgraded training in all aspects of Emergency Planning throughout the UK. Steria initially approached One Awards because of their reputation for exceptionally high standards of service and quality assurance. One Awards is a not-for-profit organisation with charitable status which offers bespoke accreditation services, qualifications and training to learning providers, as well as Access to Higher Education Diplomas. After months of careful inspection and discussion by experts on the One Awards training panel, a series of national course standards were written up and a robust quality assurance and audit process put in place by One Awards so that the five new courses will always be delivered to the highest possible national standards. 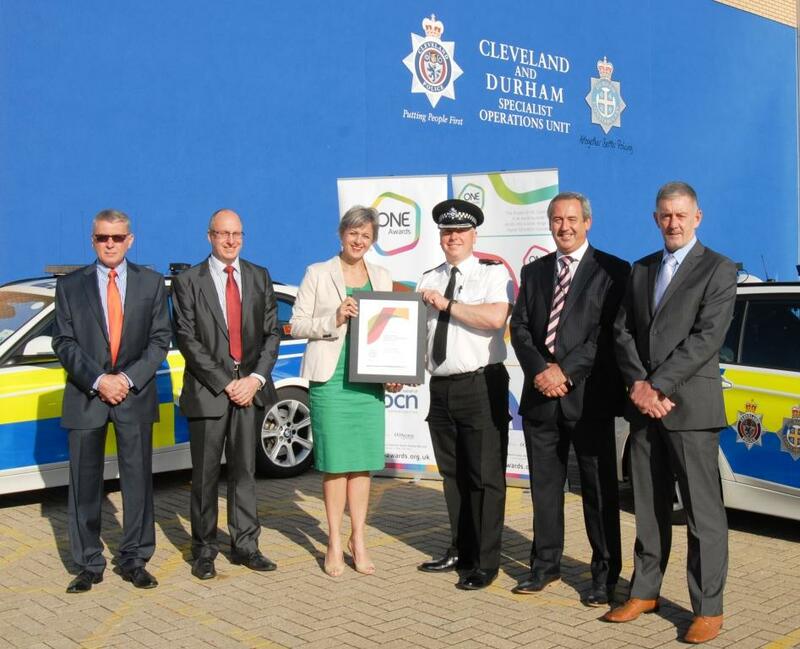 Pictured left to right: Dave Moir, Head of Resilience and Operational Planning, Steria; Clive Pengilley, Head of Police Operational Services, Steria; Louise Morritt, Chief Executive One Awards; Superintendent Mark Thornton, Head of Police Operations, Cleveland Police; Ian Harrington, Emergency Planning Manager, Steria; Graham Dennis, HAZMAT Officer and Dangerous Goods Advisor, Steria. Steria’s new “Transport of Dangerous Goods” course has already been delivered to Police in Suffolk, Norfolk and Lincolnshire as well as three other forces. This course trains police officers, as well as drivers, in the appropriate standards for the transport of dangerous or hazardous goods and in the correct procedures for inspection. Ian Harrington, Emergency Planning Officer, Steria, believes their “Transport of Dangerous Goods” course to be the only training of its kind in the UK that is nationally accredited. “Dealing with Major Incidents” is also an additional new course, accredited by One Awards, which equips police officers around the country with the knowledge to manage any serious major incident from a serious traffic accident, to a large chemical spill, flooding or terrorist attack. All educational establishments are obliged to have emergency management plans in place and Steria, in partnership with Cleveland Police,, together with One Awards, have put together a robust and practical course: “Coping with School Emergencies” equipping teachers and senior management of schools and colleges with the skills, knowledge, experience and confidence to cope with an emergency, either on their own premises or out of the area. The final two new courses are geared toward industry and offer training and qualifications as Site Incident Controller and Site Main Controller in the event of a major industrial incident such as a chemical spillage or serious fire. Louise Morritt, Chief Executive of One Awards says: “At One Awards we accredit and monitor hundreds of units, bespoke courses and qualifications on a wide range of subjects and for a great variety of organisations, private and public sector, large and small. These excellent courses rolled out by Steria are yet more examples of our diversity of offer and how well we work collaboratively with individuals and organisations.